The International Association for the Philosophy of Sport invites the submission of abstracts to be considered for presentation at the 45th annual IAPS meeting and essays for the 2017 R. Scott Kretchmar Student Essay Award. The conference will be held September 6-9, 2017 in Starkville, Mississippi USA hosted at Mississippi State University. 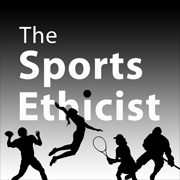 Abstracts are welcome on any area of philosophy of sport (broadly construed), including metaphysics, epistemology, aesthetics, and ethics, and from any theoretical approach, including analytic philosophy and critical theory. While IAPS recognizes, values, and encourages interdisciplinary approaches and methodologies, acceptance is contingent on the philosophical content of the project. Emerging scholars are encouraged to submit works in progress. See Abstract Guidelines below for template and instructions. Deadline for abstract submission is March 31, 2017. A Program Committee of three IAPS peers will blind review abstracts. Contributors will be notified about the status of their abstracts by May 12, 2017. IAPS is proud to announce the fourth edition of the “R. Scott Kretchmar Student Essay Award.” Interested undergraduate and graduate students who will be presenting their paper at the conference should submit a full paper by April 15, 2017 (in addition to an abstract, both through Easy Chair, see below). A separate announcement is posted at the IAPS website. The selected winner shall present their paper and receive the award at the annual IAPS conference. To submit an abstract, please download the IAPS Abstract Template. When you are ready to submit the abstract, go to https://easychair.org/conferences/?conf=iaps2017 . New users for Easy Chair must create an individual account login. Please complete the submission information and upload your completed IAPS Abstract Template.